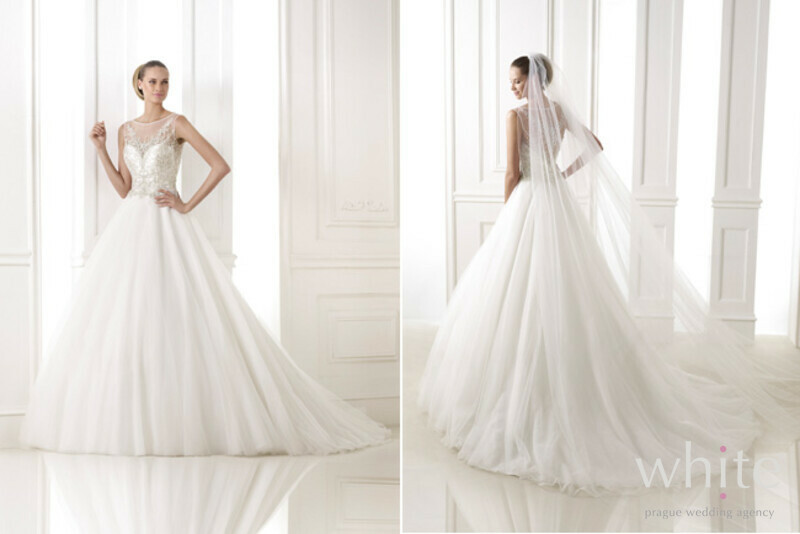 The question of getting your dreamy wedding dress across the world safe will be one of the first questions you will have when planning a destination wedding. Lot of our Brides are stressed about bringing the dress on the plane and lot of them travel around Europe before coming to Prague. 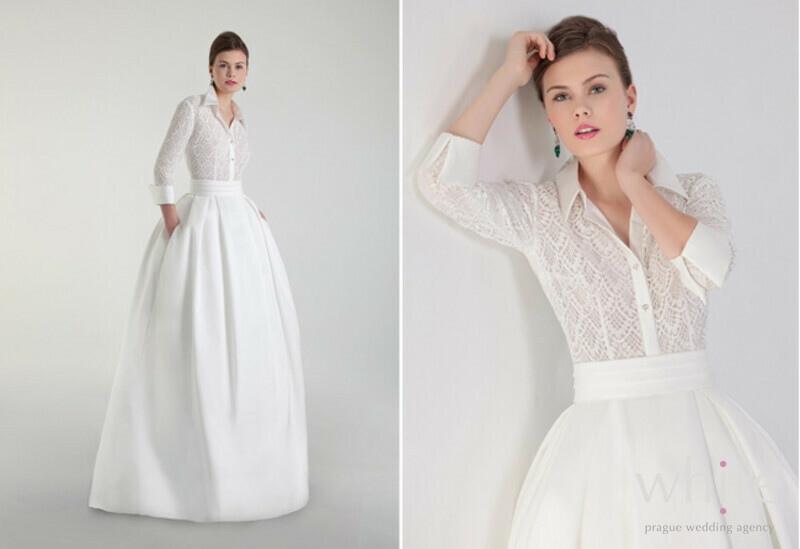 Therefore the possibility to buy or to hire your wedding dress in Prague will take another worry of your mind. For many years, we have been working with the best Bridal salon in the Czech Republic which offers great services in the centre of Prague. 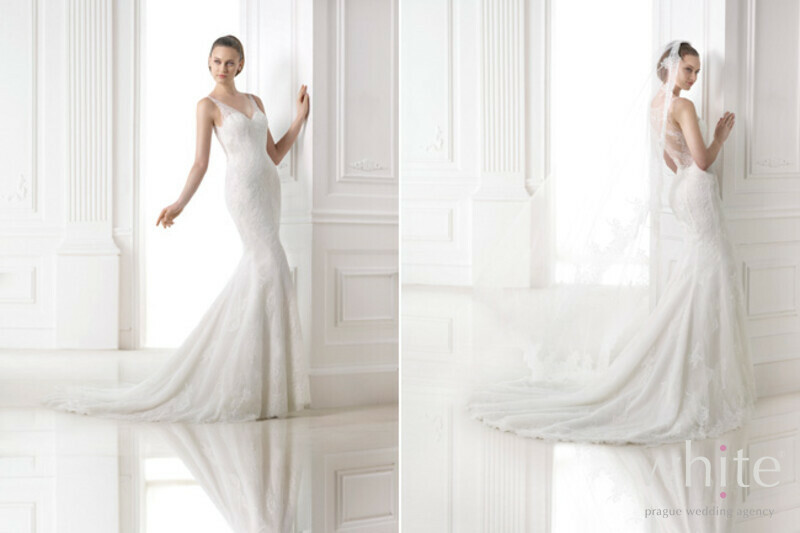 You have the option to buy or to hire famous Pronovias Barcelona & Pepé Botella wedding gowns there. The salon also offers a range of all wedding accessories such as veils, shoes and jewelry. Your groom can also rely on finding the perfect suit or tuxedo there as well as shirts and shoes. Even if you are renting your wedding gown and not buying it, it will still be adjusted to fit you perfectly in only one day. 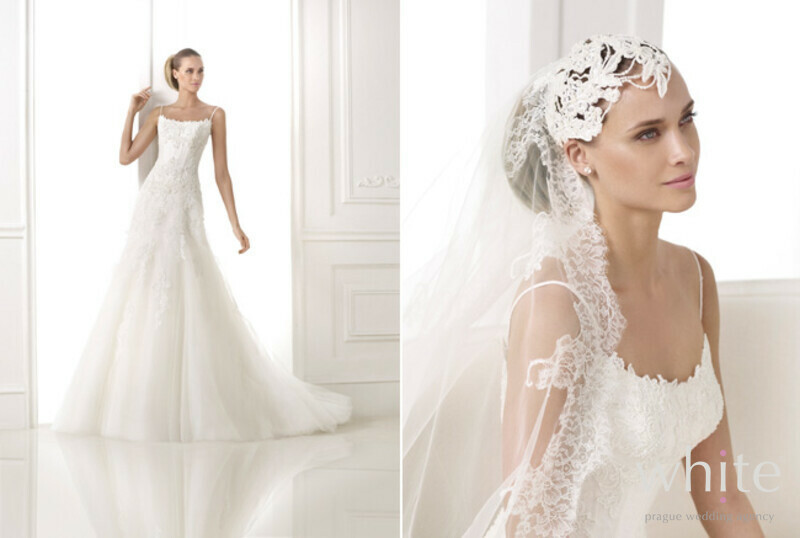 Have you found your dream wedding dress yet? Stop looking and come to Prague.